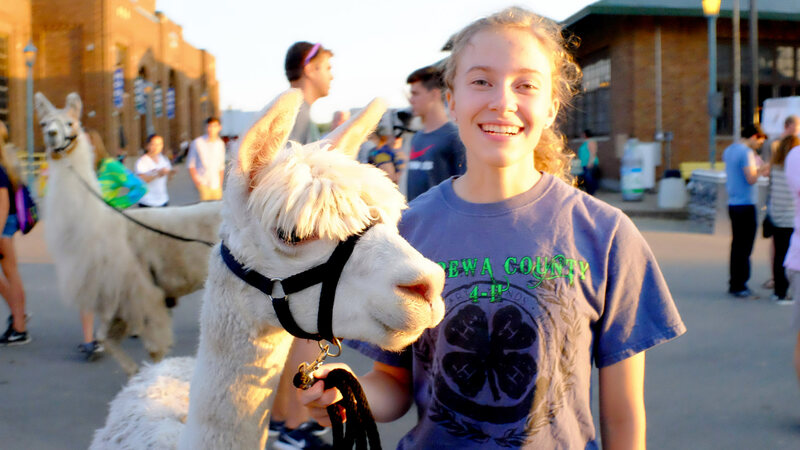 Llamas and alpacas are some of the coolest creatures to walk the fairgrounds, and you can see them up close beginning Wednesday, Aug. 28 in the Horse Barn and Compeer Arena (formerly AgStar Arena). And stop by the insanely popular Llama Costume Contest beginning at 6 p.m. that night in Compeer Arena. Don’t miss your chance to see the lamas – they leave on Friday, Aug. 30. (Note: Lama is the correct spelling for the genus that includes llamas and alpacas.) Be sure to check out the daily schedules for exact hours of where and when to find lamas during the fair, including judging.